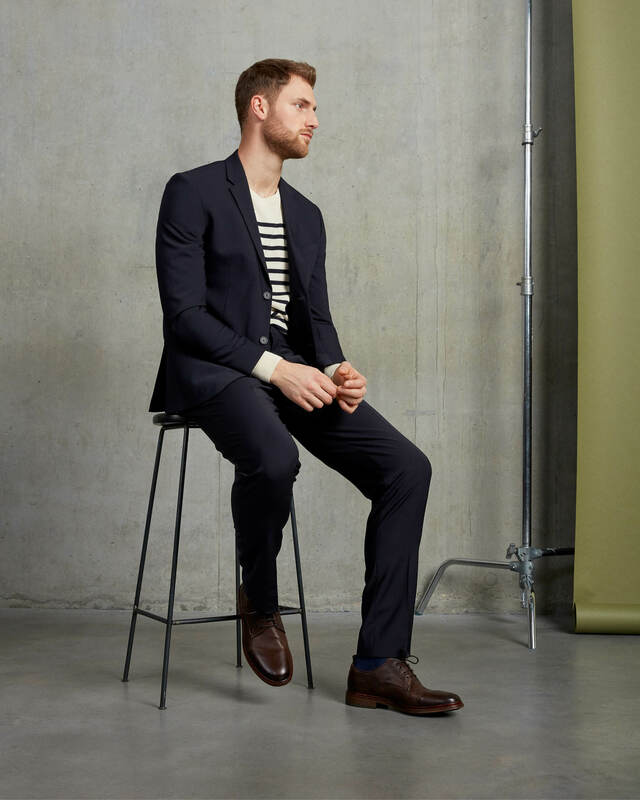 According to a recent poll, only 10 per cent of British men wear a suit to work. 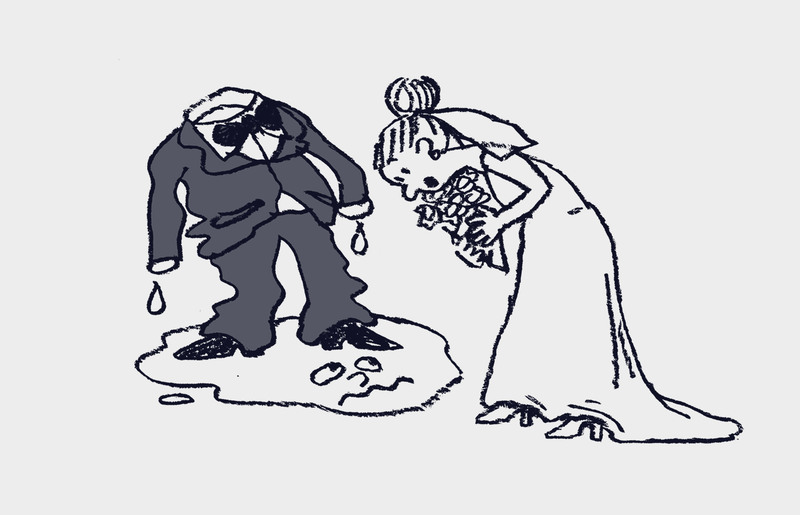 And yet, even if you’re in the majority that don’t, odds are there’s a suit languishing in your wardrobe – an overhang from previous employment, or perhaps a standby for weddings, funerals and job interviews. Which is a shame, because even though menswear has become more relaxed, it’s still the case that man almost always looks his best in a suit. They’re flattering. They’re polished. They’re just...right. Which is why the most powerful style move, in an era when people can turn up to the office in jogging bottoms, is to embrace tailoring. Especially since you’ve probably got everything you need already. 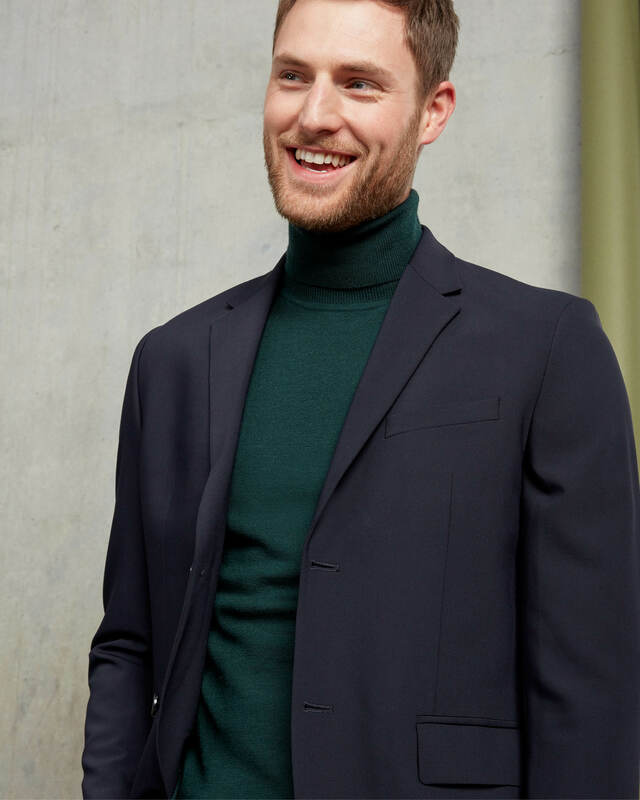 “A suit is always a big investment, so it’s a shame to only wear yours a couple of times a year,” says Thread stylist Luke McDonald. “Wearing it in an alternative way is the best way to get more value out of it.” And look really good doing it. 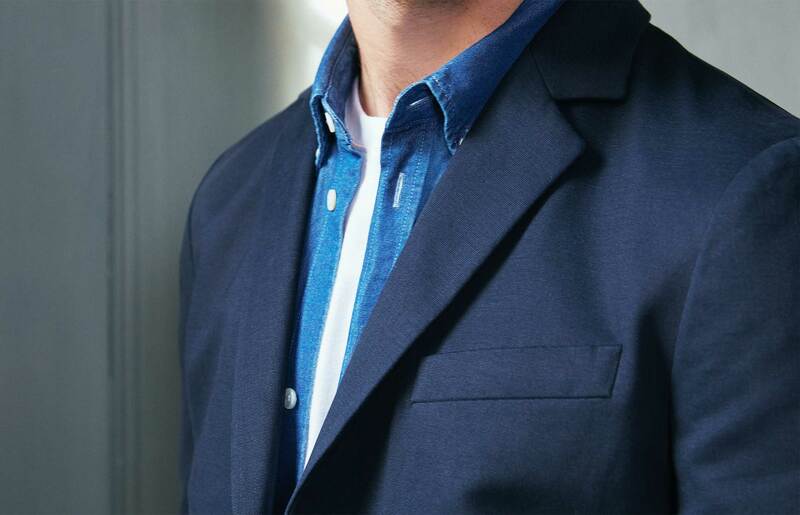 We’re not talking about the more obvious moves – an open-collar shirt or a white t-shirt. They’re great, they work, but they don’t add anything new. These approaches are more advanced, more interesting, and make even the most classic suit feel like something made with right now in mind. It’s also an ideal option for any post-work events. 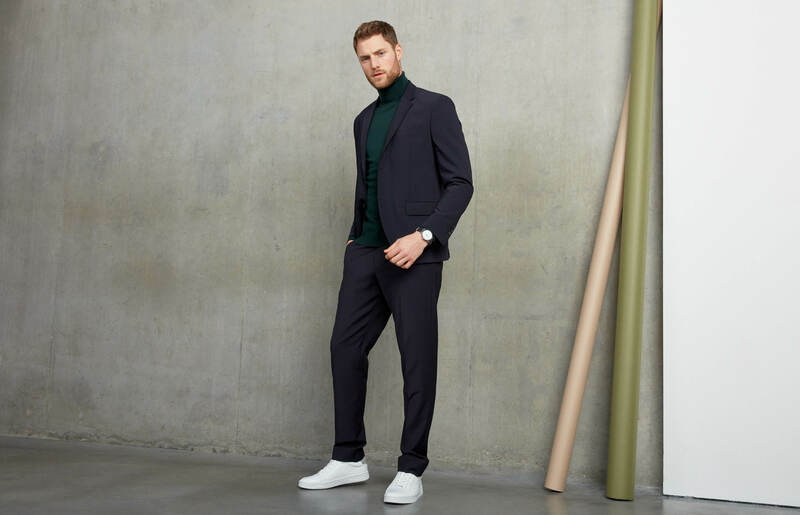 “If you’re at work and have to go to something else afterwards, then swap your dress shoes for minimalist trainers and put on a jewel-toned roll neck.” A plus point – and one that applies to every outfit here – is that if you do lose the jacket, the look as a whole is still sharp. You definitely don’t get that with a tie-free dress shirt. If you’re still not convinced, try a Breton in a dark colour and a slightly heavier material. “To be honest, it comes down to the weight of the fabric, much more than the pattern itself,” says Luke. So go for a slightly thicker top that won’t cling and you’ll be good to go. “This is the power move,” says Luke. 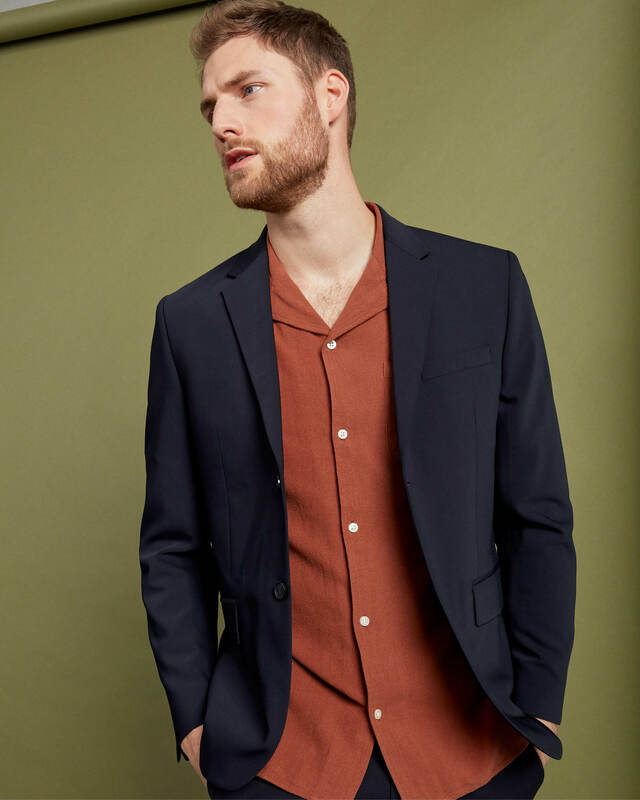 “If you’re really confident about style, camp collar shirts are really popular at the moment and they conjure up a 1950s, jet-set vibe. 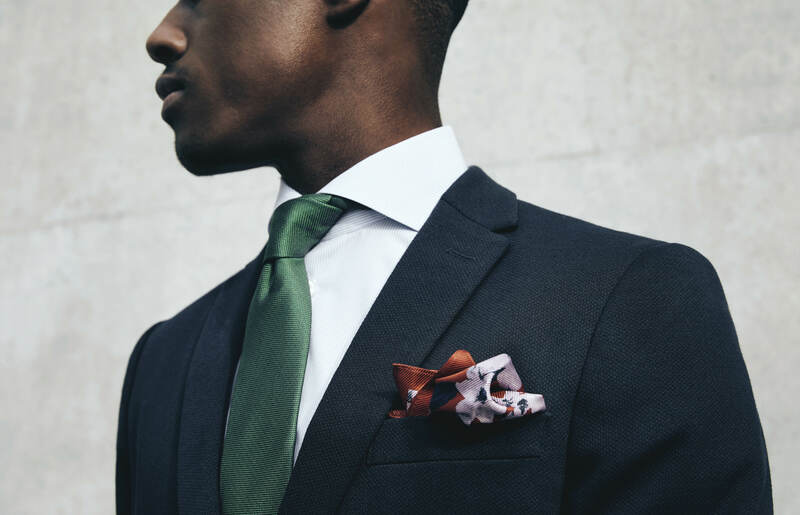 You can go quite bold on colours and prints, and the collar fits neatly under a suit jacket.” That’s under – not over. Leave that to Tony Montana.